Each member of the AJBR team is a highly regarded professional offering 30+ years of experience. We are devoted to achieving excellent results and strong customer satisfaction. From our principals to our affiliate members, AJBR provides a broad scope of services. Due to our strong local presence, we have also acquired a robust regional network of relationships with a select group of professionals whose services and skill sets can be mobilized as necessary to complement our team. Sheena Aebig is Managing Director and Co-Founder of AJBR. She brings over 35 years of experience practicing law, a career that focused on insolvency-related matters and troubled business resolutions. Aebig has acted as a Chapter 7 or 11 bankruptcy trustee, receiver and examiner in hundreds of cases, as well as counsel for trustees, receivers, debtors, creditors’ committees, lenders, landlords, shareholders and guarantors in every phase of insolvency issues and related litigation. She also has extensive experience representing parties in shareholder disputes, the purchase and sale of businesses large and small, private and public, and the acquisition and disposition of tens of millions of dollars of real estate. She has been recognized multiple times as a top bankruptcy lawyer in Seattle Magazine, Washington CEO, Seattle Met, Washington Law and Politics and Best Lawyers in America. She enjoys an “AV” rating from Martindale-Hubbell, the highest rating possible from this national and international rating service of lawyers, based on peer reviews. Throughout her career, Aebig has represented dozens of different industries including forest products, fish processing, salmon and crab fishing fleets, restaurants, aviation, transportation logistics, oil and gas drilling and processing, hotel management and sales, real estate development, cruise lines, health service management, leasing (commercial property and construction equipment), shipping, commercial and residential construction, financial services, banking and asset-based lending, private lending, retirement centers, escrow companies, international trading companies, gas company franchises, and Hollywood movie production and film franchises. She has also dealt with deadlocked boards of directors and dysfunctional management in a number of different business endeavors. In addition, Aebig has authored dozens of articles on insolvency and commercial law issues and has been a frequent speaker on those issues at continuing legal education seminars for lawyers, as well as various industry groups. Active in community and philanthropic matters, Aebig has served on the board of trustees, the advisory council, and as president for ACT Theatre, the board of trustees for University Preparatory Academy and on Willamette University College of Law’s Board of Visitors. She currently serves on the board of Town Hall of Seattle, is the co-chair of the steering committee for Town Hall’s multi-million dollar capital campaign and is a member of the advisory board to the Dean of the Arts and Science College of the University of Washington. 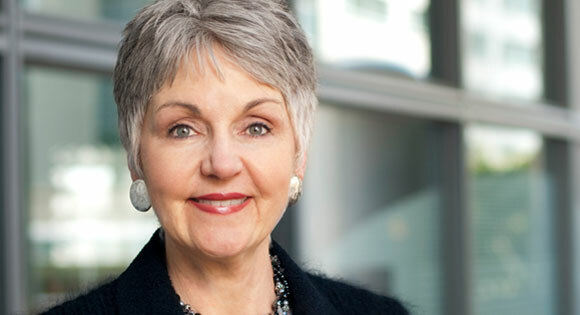 A member of guilds supporting Seattle Children’s Hospital and Seattle Children’s Home (now NAVO) since 1992, she also serves on the board of Women Bankruptcy Attorneys and has been on various state and federal bar committees, including acting as Chair of the King County Bar Association Debtor – Creditor Section. A Seattle native, Aebig graduated from the University of Washington with a BA in English in 1973 and from Willamette University College of Law in 1976.